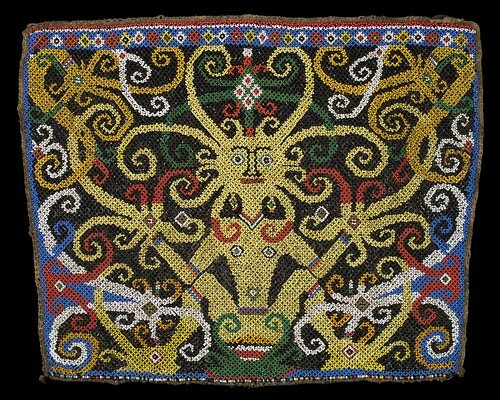 Bead panel from a baby carrier, Bahau people. Borneo 20th century, 35 x 28 cm. From the Teo Family collection, Kuching. Photograph by D Dunlop. The force of the cause is of equal size and in the opposite direction to the force of the effect. These quantities are measureable. And for WikiMechanics, they are well defined in terms of sensation. Isaac Newton, Mathematical Principles of Natural Philosophy. Translated by I. Bernard Cohen and Anne Whitman. University of California Press 1999, page 417. Christian Bible, King James Version, Cambridge Edition. Galatians 6:7.